Favourites Egypt clinched the 22nd Men’s World Team Squash Championship title in Denmark – but the three-man team, which included three of the world’s top four players, was taken the full distance before beating third seeds France 2/1 in the climax of the biennial World Squash Federation event at Squash Center Denmark in the city of Odense. French number one Gregory Gaultier, the world number two, put the underdogs into an unexpected lead when he recovered from a game down to beat world number one Karim Darwish 8-11, 11-5, 11-8, 11-2 in 53 minutes – a win which avenged the 26-year-old from Aix-en-Provence’s defeat in last week’s final of the PSA Super Series Platinum Sky Open in Cairo. 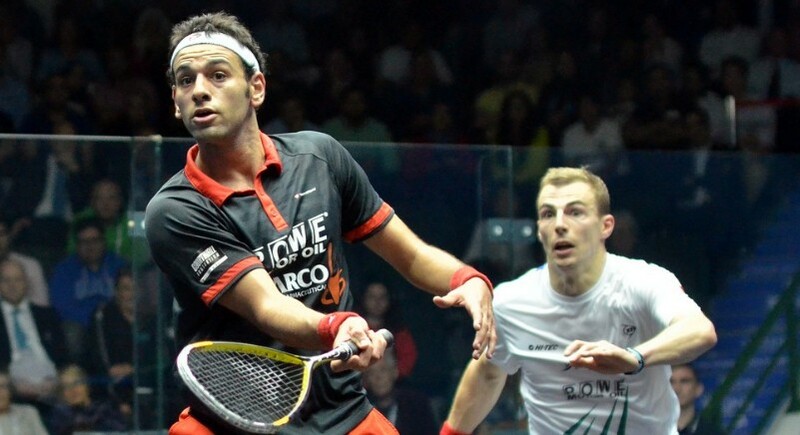 Ramy Ashour, the 2008 world champion from Cairo, soon brought Egypt back into contention by defeating France’s third string Renan Lavigne 11-3, 11-4, 11-5 in just 23 minutes. The decider featured Egypt’s Amr Shabana and Frenchman Thierry Lincou, both former world champions and world number ones, and two of the game’s most respected players. And the match could not have been more dramatic – with both players calling upon all their vast experience in an attempt clinch the title for their countries. Honours were shared after the first two games – and Lincou had game balls from 10-7 in the third and 10-5 in the fourth. But determined Shabana – a man not previously known for producing his best in team competitions – dug deeper than ever before to overcome his French opponent 11-6, 7-11, 12-10, 12-10 after 66 long minutes to claim the title for Egypt. It was the Egyptians fourth time in the final since 1999, but only the second time that the now dominant nation in world squash has won the prestigious men’s world title. 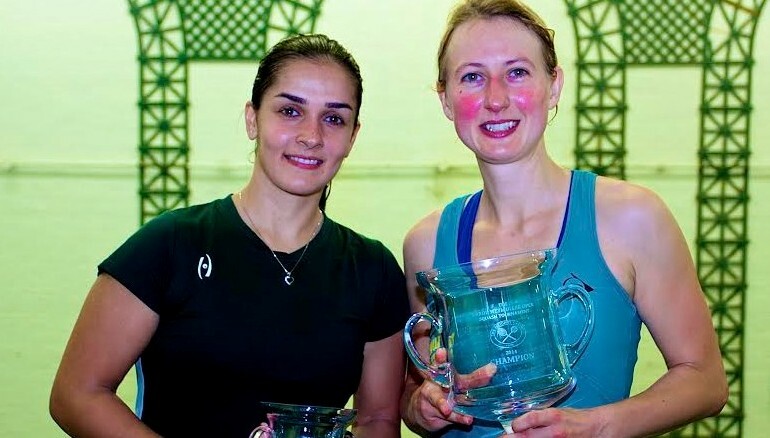 “There was so much pressure on us, everybody was telling us, you must win, you must win,” an exhilarated Shabana told www.squashsite.co.uk afterwards. “So it’s such a relief to actually win the competition, after so many years trying – especially against France, a team with an amazing spirit. Ramy Ashour, the 22-year-old world number four who – incredibly – found himself playing third string for his country, added: “This is such a crucial moment for us, this is going to be a turning point for Egyptian Squash – and for Shabana, Karim, Wael, and myself, this is massive for us. Defending champions England, beaten by France in the semi-finals, suffered further ignominy in the play-off for third place when losing to fourth seeds Australia. The second seeds were weakened during the event by an ankle injury sustained by squad number one Nick Matthew, which ultimately ruled the world No5 out of the rest of the competition. But James Willstrop put the title-holders into the lead with an 11-8, 11-2, 11-13, 11-2 win over David Palmer, the Australian number one who barely more than 12 hours earlier had endured an 86-minute marathon with Karim Darwish in the semi-finals. But Australia bounced back when third string Cameron Pilley outlasted England reserve player Alister Walker 10-12, 15-13, 11-3, 6-11, 11-4 after 94 minutes – then Stewart Boswell clinched victory for the underdogs by beating England’s Peter Barker 11-9, 10-12, 11-7, 12-10 in 56 minutes. Pakistan beat South Africa 2/1 in the play-off for fifth place – thus producing their best result since finishing as runners-up in 1995. But it was also a courageous performance by South Africa, the 11th seeds who celebrated their best finish for eight years. Italy also had cause for rejoicing after beating seventh seeds Canada in the 7th place play-off. Featuring two players making their debut for the country, the eighth seeds had only once before finished in the top 16. USA lost to Germany in the play-off for 11th place – but their 12th place finish represented the country’s best result since 1983. But Kuwait also had much to celebrate in Denmark. Winners of the 15th place play-off against Ireland, the Kuwaitis recorded their best result in 14 appearances in the competition since 1979.